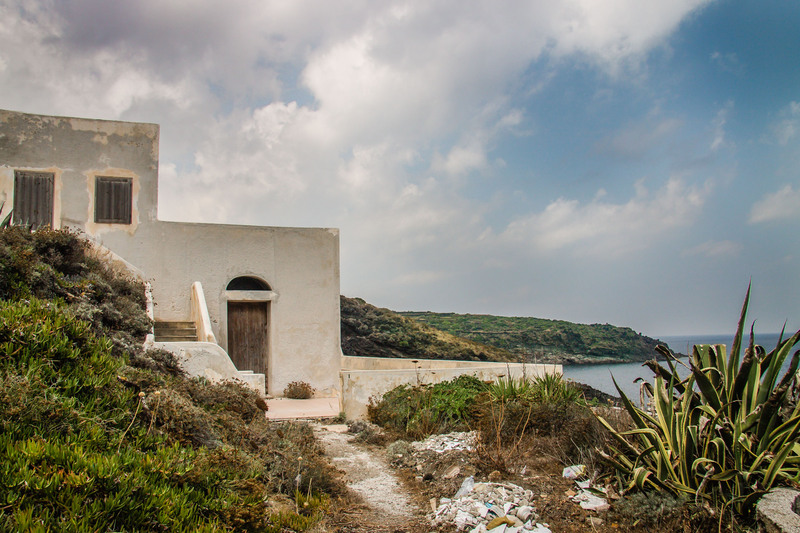 There’s a tiny volcanic island in the Mediterranean where Giorgio Armani spends every summer. 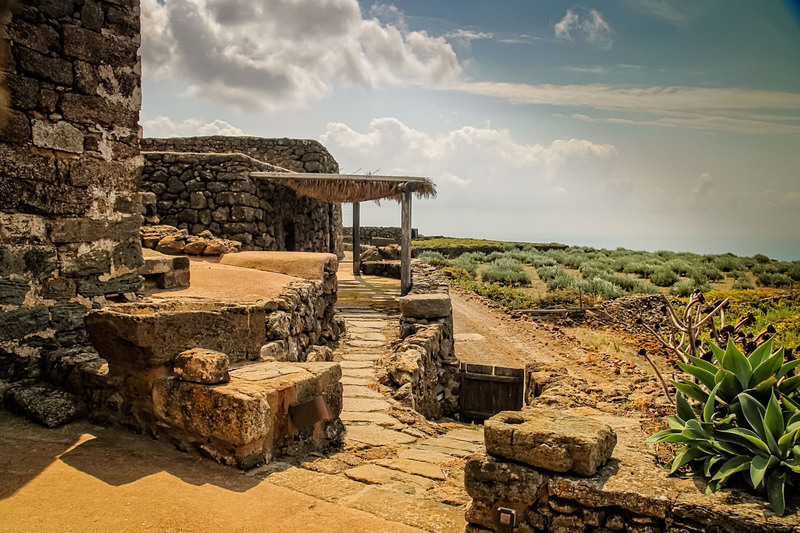 It’s called Pantelleria, one of the lesser known islands of Sicily. It is actually closer to Tunisia than to Sicily. 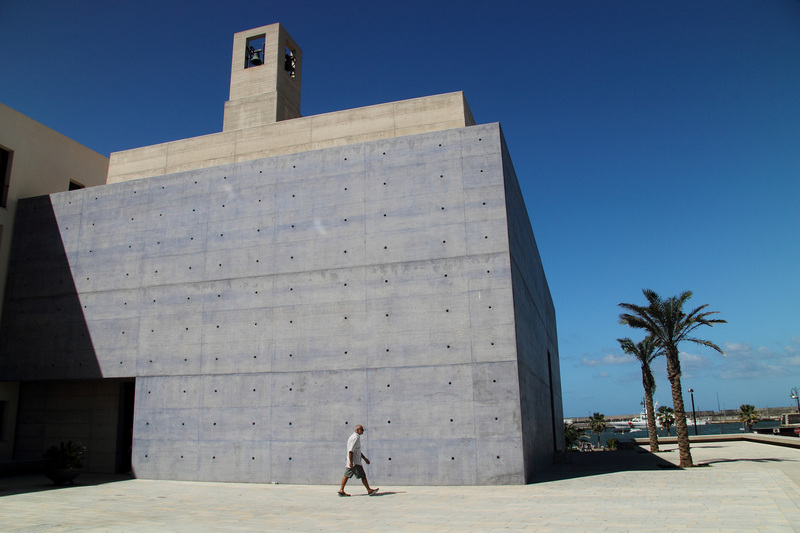 It was previously conquered and inhabited by Arabs, and much of that Arabic influence remains. The architecture brings to mind Marrakech, or even Bodrum, more than it does Palermo or Naples, and this is the only place in Italy where the alphabet includes the letter k (although locals are as apt to speak French as they are Italian). Following the example set by Armani, the No. 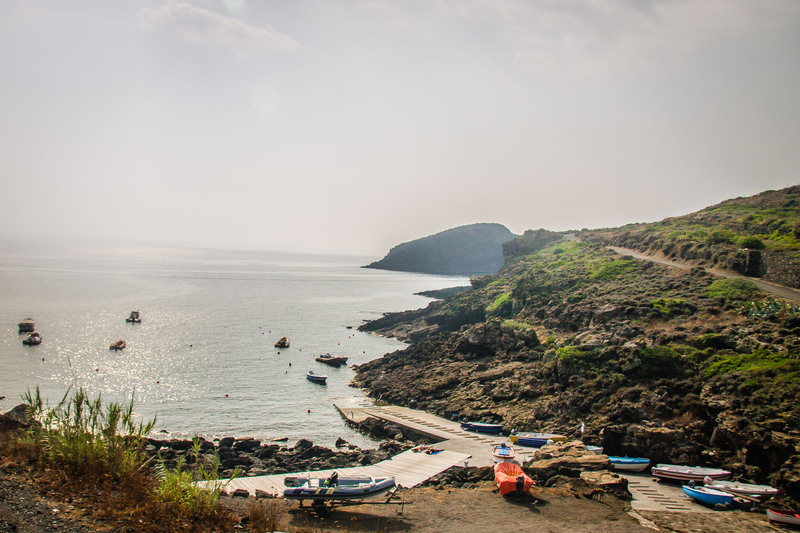 1 thing to do in Pantelleria is simply to lounge in the sun and escape from it all. And eat, of course. Just know this: There’s not much variety on the island. There is only one cuisine, Pantescan, and most restaurants serve pretty much the same menu. Most of what you’ll eat here is grown here. Strangely, sadly, this is an island without fishermen, which means the local cuisine is almost entirely without fresh fish. Oh, there’s fish alright, but most of what’s served in restaurants is shipped over from the main island of Sicily — and it is not particularly fresh. But never mind the fish. 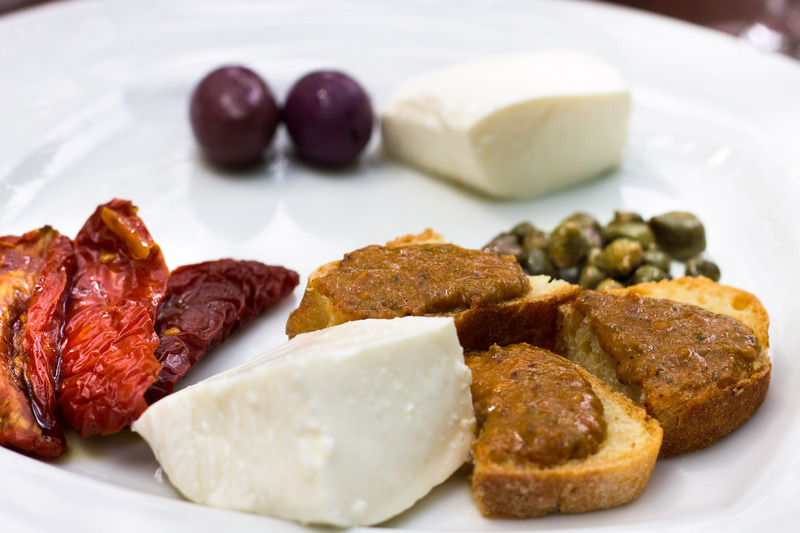 Focus on anything and everything that’s made with capers, eggplants, olive oil or tomatoes, the island’s most prolific foodstuffs. 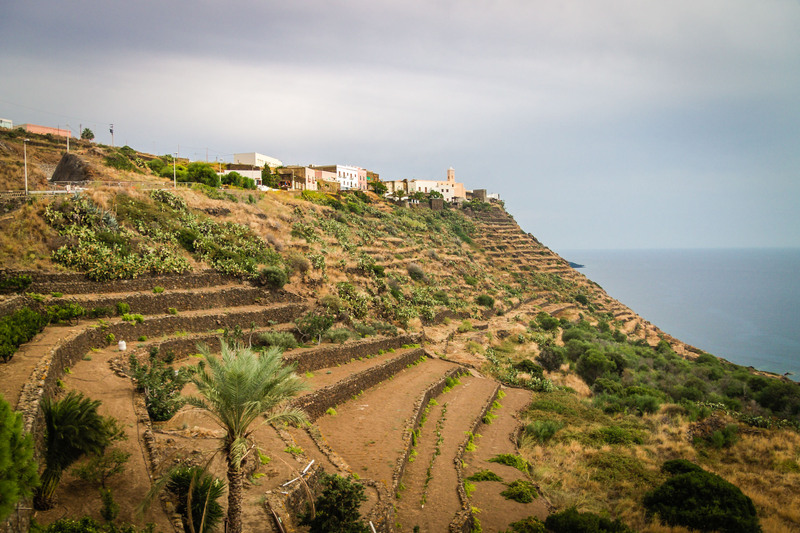 Pantelleria’s capers might even be the best in the world. Certainly, they are cherished throughout Italy as the country’s finest. 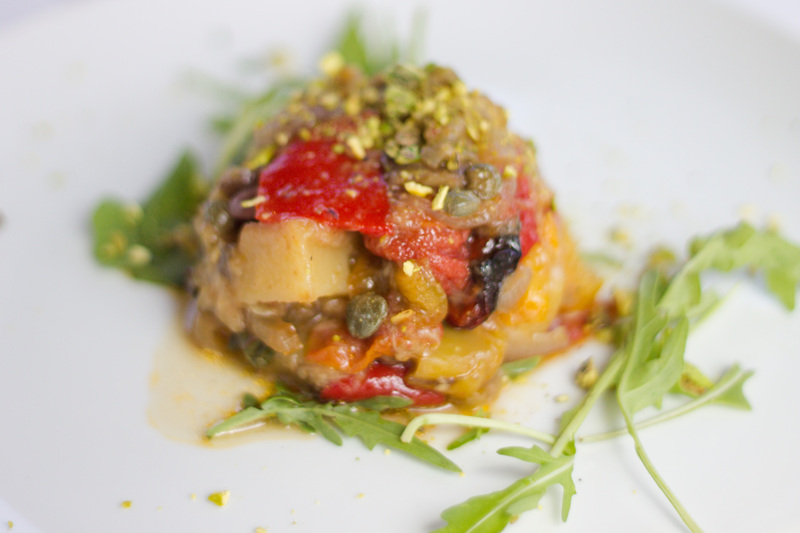 You’ll eat your weight in eggplant caponata. The local pesto is made primarily of capers, with a handful of local oregano. 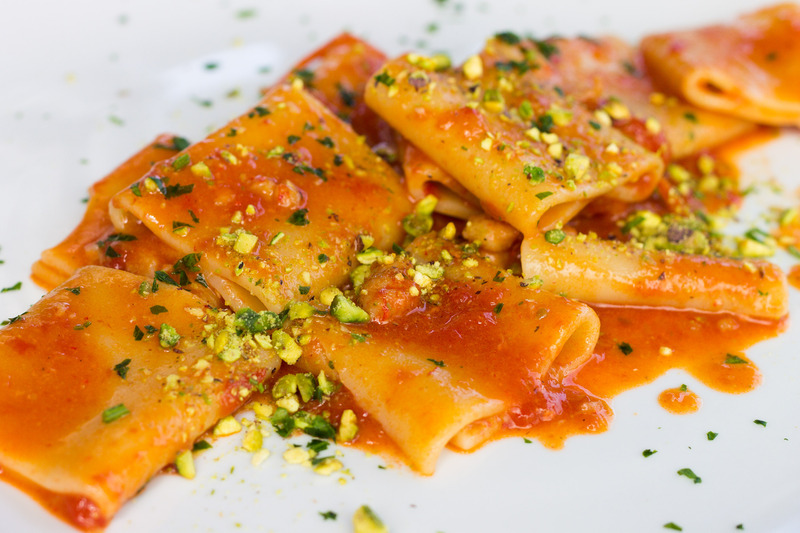 Another local tradition is a pasta sauce made with pulverized cherry tomatoes, almonds and garlic, which they also call pesto. 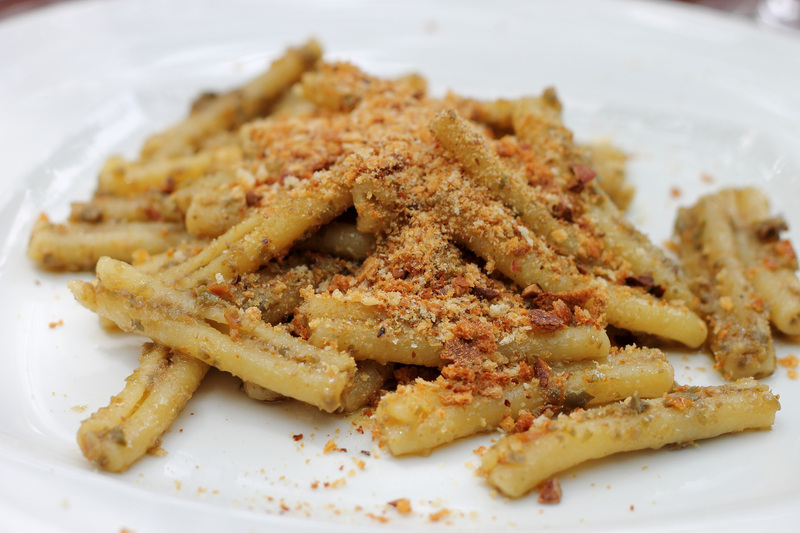 Both of these Pantescan pestos are typically topped not with grated cheese but with toasted breadcrumbs, and they’re so delicious you seriously won’t mind eating them over and over at the towns few notable restaurants. Here are five places where you can eat like a local. Well, anywhere you eat, you’ll be eating like a local because there just aren’t very many tourists — and rarely any Americans. 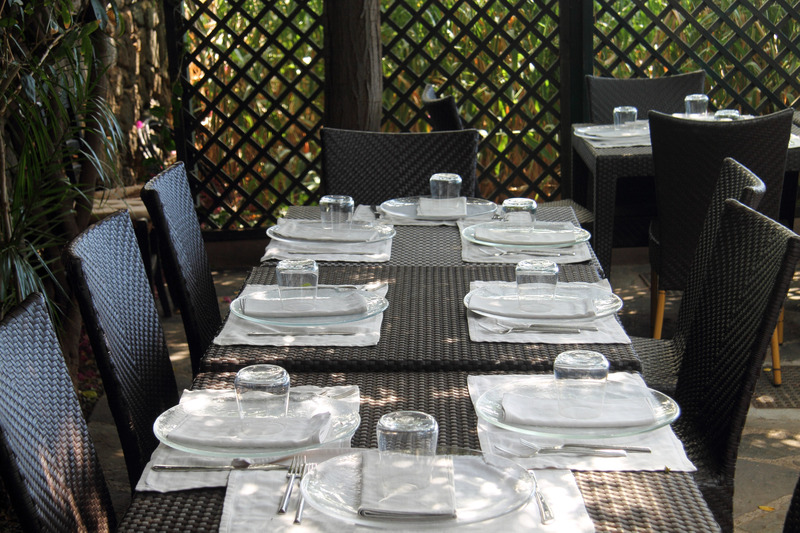 This is the best restaurant on the island, located in the village of Scauri (blink and you’ll miss it). 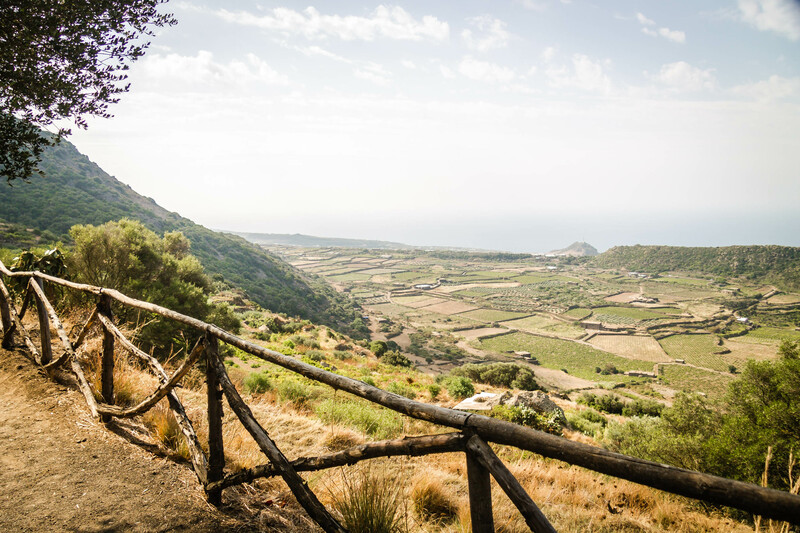 The restaurant is owned by one of the island’s biggest caper farmers, so naturally you’ll want to eat the caper pesto here. 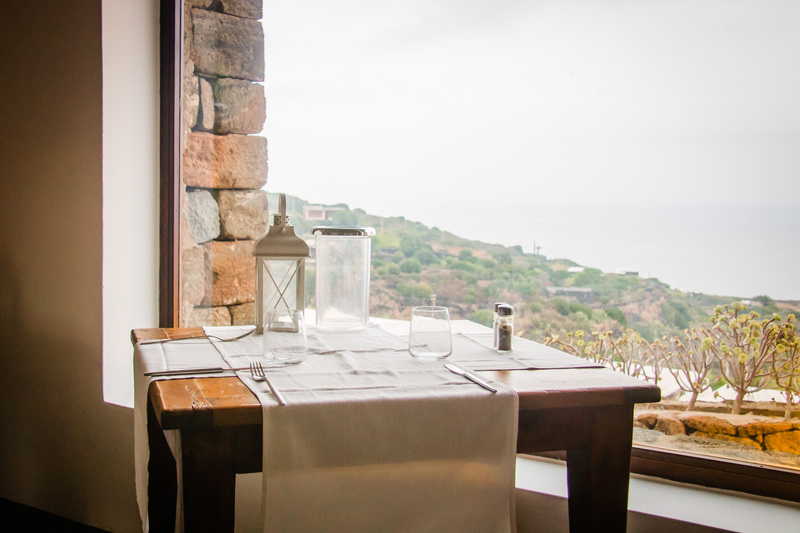 La Nicchia also operates a great little tapas bar across the street from the marina in downtown Pantelleria Town. Come nightfall, this is the hottest scene in town, and you’ll smell the wood-fired pizza oven from two blocks away. Very good pastas. Decent local wine by the jug. Located downtown just a block from the marina. 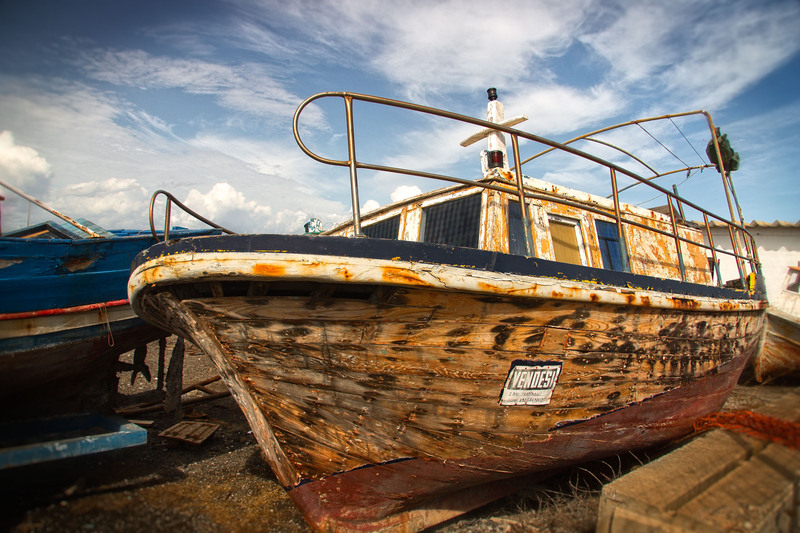 This is one of the more romantic spots on the island. The chef makes a fantastic Pantescan couscous (opt for the version without seafood, of course). Fabulous views from a beautiful mountaintop perch. Live jazz some nights. Outdoor fireplace lounge. 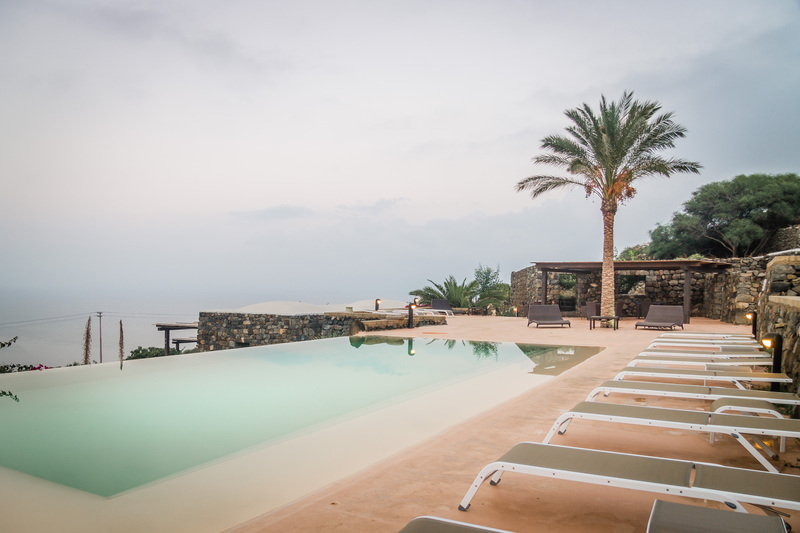 Le Cale is a popular bar and restaurant perched on a clifftop lookout in the village of Kamma, a popular snorkeling spot and swimming hole. Go straight for the pasta with tomatoes and pistachios. This is a gigantic food truck permanently parked next to the marina in downtown Pantelleria. And from the looks of it—two flat tires and a busted bumber—it’s not going anywhere anytime soon. They make damn good rotisserie chicken, plus excellent arancini.